This audiobook offers invaluable insight into how to recognize and develop your own relationship with the magical faculty of third eye seeing and ways to integrate that into daily life practices. 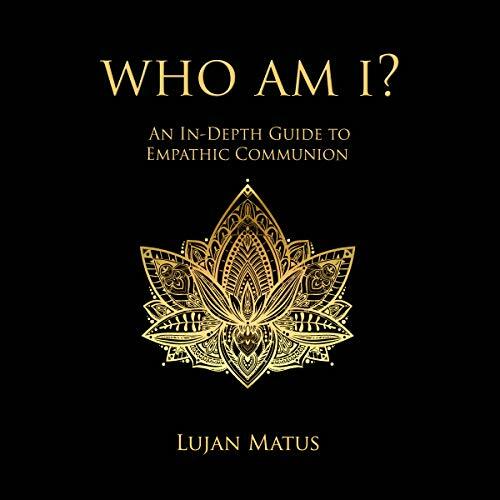 Lujan Matus deftly ushers us into the heart of the mysteries of perception and consciousness, presenting new perspectives on our place in the universe and what we are capable of. Your journey through the Eight Gates of Dreaming Awake will open the door for your primal essence to return to your present moment continuum. 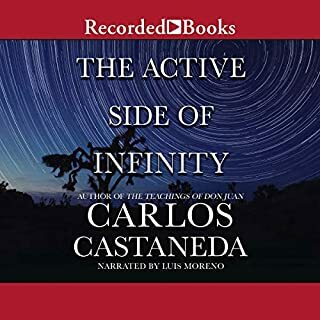 This audiobook delivers ancient shamanic wisdom and quantic insights that allow precious points of arrival to be sustained within the power of one's omnipresence. The techniques in this book can be successfully applied to any ideology, religion, or philosophy. Gods very much in the book.. When W. L. Ham approaches the Nagual Lujan Matus for insight into enigmatic events that have marked his awareness, what he learns revolutionizes everything he thought he knew. Realizing that he has found an authentic guide, Bill enters into a intensive apprenticeship and directly begins to experience the multiplex of luminous interactivity that is our living matrix as never before. Like countless others, Bill had been galvanized when concepts like "the energy double', "dreaming awareness', and "first and second attention', were introduced in the 1960s. Oral tradition shamanic transmissions at last! The Art of Stalking Parallel Perception is a new kind of autobiography - an interdimensional odyssey that weaves its magical threads through one's own existence in a way that has to be experienced to be believed. In this revised edition, Lujan clarifies and expands upon key elements of his teachings. Listeners familiar with the original will be surprised at the awakenings that unfold via powerful additions woven throughout the text. Who am I, if not my heart? A close encounter with the mysterious force field universally known as the white light, triggers a series of catalytic awakenings that deliver radical insights into what it means to be alive. 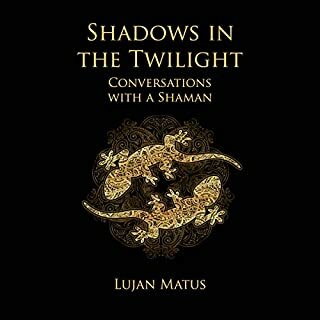 In sharing these revelatory seeds of consciousness, Lujan invites us to openly examine bias and discover where our alignments are leading us. Incalculable variables of vibration define our reality from A to Z. In a rapidly changing technological and social context, it is now time we took a very close look at the pervasive influence of frequency upon our perception and behavior, both individually and collectively. To be governed by heart awareness within our personal application to the world is how we can reassign our attention to what actually matters. Pure feeling guides us into our innate ability to infuse with one another to the point where we experience unified consciousness. Full remembrance of this empathic communion is an evolutionary imperative whose time has come. Authenticity and taking the risk to truly care are not only crucial to our survival but necessary traits indicating readiness to participate in the greater galactic community. Beyond our earthly holding zone communication is sent and received as direct energetic transmissions that transcend cultural or species- based codes and boundaries. Truth and sincerity is the only currency that has value, and nothing less will open this elusive door. By introducing perspectives that enable us to look beyond the thresholds we are contained within, this book shines a powerful light upon the lies and limitations that have been perpetuated towards humankind. Controversial and necessary, these internal illuminations have the power to change the world, for they will change you. Are you ready? You’ve only your illusions to lose. This book and Lujan Matus continue to not only help me practice the techniques for Awakening my true self that i started learning up through authors like Robert Monroe, Carlos Castaneda, George Gurdieff, Peter Ouspensky, but this Gent has helped me go deeper than all other sources put together and brings it to a point where it's not just about an individual, but global and universal. check it out. Prepare to be challenged. 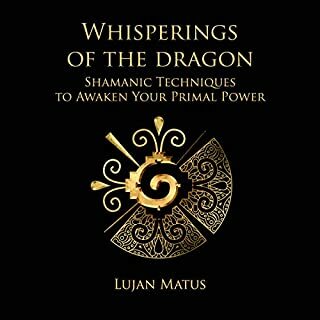 For those of us who have had some of this experiences and are always looking for answers, Lujan knowledge is gold. Lots of good insight, but the delivery is slow. 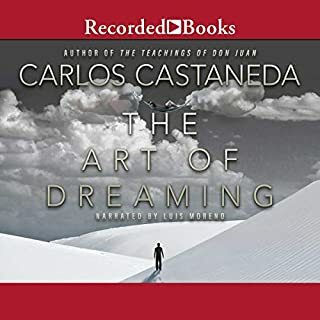 I appreciate the meditative qualities of this audio book. This book is frightening and inspiring. It explains the human condition in a way that no other book comes close to doing.